the eBooks on this page were written by my students, students/classes I collaborate with or teachers I have training sessions with. they were all created using iBooks Author or the Book Creator App and published in Apple's iBookstore. We are so excited about these eBooks. We truly believe that students will learn more when they realize that people from the global community value their work. we have had a combined total of more than 46,000 books downloaded in 48+ different countries! Our most Recently Published Books! #twima5 - What are you cooking? Click on the image to buy in iTunes! In #twima5, we have a riddle for our readers! What does the best chef in the world and the collaborators of this book have in common? We have three things in common! We use the best ingredients, our minds, to cook up our ideas. We work with creativity and vision to design our menu. Lastly, we prepare a feast of learning with student work to dine on! In #twima5, students and teachers used the prompt, "What are you cooking up in your classroom?" to jump start their learning. From ingredients in science and planets forming to pizza art and book building, these classrooms share their recipes for learning with you, the reader. Enjoy their illustrations. Read their stories. Explore their classrooms in this collaborative book. 3rd graders in Ms. Minnich's class drew monsters. High school students in Mr. Quicci's class reimagined these monsters. Together you get Monsterpieces! 3rd grade students and preschool students collaborated on this awesome alphabet book. 12 participants of Thursday night's #BookCreator chat wrote, compiled and published this iBook of the things they learned and discussed over the course of 20 weeks. Two students in Ms. Hennon's kindergarten class wrote a counting book using pumpkins. How do students engage with the community? How do they connect to the people, places, and important symbols of the community? Is there a way to create a sense of community through curriculum? Does your community look like another community across the world? #twima3 embarks on a new journey for students. As a topic, patterns was chosen for the universal, cross-curricular nature. All students can work to find patterns in their world, regardless of their age, level, location, or interest. Patterns can be found in music, math, art, writing, science, computers, history, and beyond. Becoming aware of these patterns has a significance in itself. Sharing the recognition of these patterns with such vast diversity is what makes #twima3 the next great venture for the #twima project. Students in Ms. Hennon’s kindergarten class at the Alliance Early Learning School learned about countries. To demonstrate their learning, they wrote this eBook. Teachers from Ashtabula recently attended a training on the Book Creator app. The following pages are demonstrations of their learning. We hope you enjoy reading our eBook and we hope you learn something new in the process. To __ Or not to __? But is it really the question? Or could there be other questions, with answers just as vital to the askers as the issue of continued existence is to Hamlet, prince of Denmark? Students in Mrs. Mann's and Ms. Benning's classes learned about World War 2 and to demonstrate their learning they wrote and illustrated this iBook. We hope you enjoy! Attendees of the Ohio Education Technology Conference collaborated on an iBook of their favorite sessions, tools and learning techniques learned while at the conference. ​Students in Ms. Hennon’s kindergarten class at the Alliance Early Learning School learned about countries. To demonstrate their learning, they wrote this eBook. Earlier this year, I assigned Binyavanga Wainaina’s essay, “How to Write about Africa,” to my Advanced Placement English Language and Composition students. The goal was to teach them an appreciation of irony and satire. Apple Distinguished Educators Jon Smith, Dena Glynn and Carolyn Skibba collaborated on this iBook about leading a global project. On March 10, 2016, teachers from across Northeast Ohio attended the NEOtech Conference at Kent State. Stephanie DeMichele and Jon Smith led a session on creating eBooks using the Book Creator app. Session participants were asked to create pages of their book and send them to the session leaders. In 1 hour, we compiled and published this book. We hope you enjoy the teachers who took time to share their favorite apps, tools and websites. Students in Ms. Hennon’s kindergarten class at the Alliance Early Learning School learned about letters sounds. To demonstrate their learning they created this book. We hope you enjoy reading this book. The best book recommendations come from friends. We like to know the titles they are reading and the titles they think we will enjoy. That's what made this project so much fun. Students read books and recommended them to friends. Click the image to buy in iTunes! Every Friday I teach a session at my school called Computers and Cronuts. Today, we tried to write, compile and publish a book in 40 minutes. This book is the result. We hope you enjoy! Students in Ms. Hennon’s class at The Alliance Early Learning School learned about bats. To demonstrate their learning they wrote this eBook. We hope you enjoy! Grandma, Is That A Car? 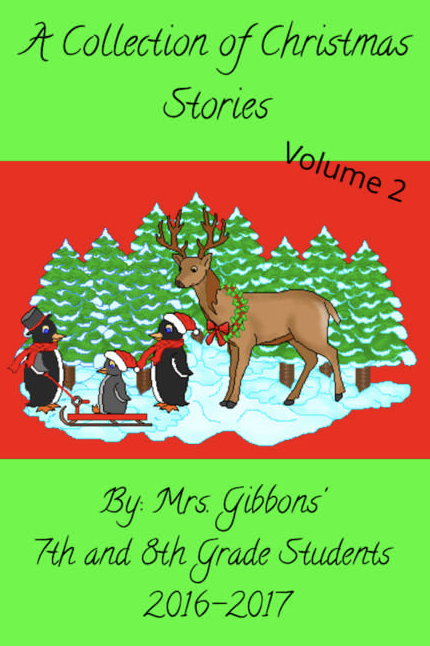 Students in Mr. Hill’s Interactive Media class wrote and illustrated this children’s book. We hope you enjoy reading it. Students in Mrs. Pirogowicz’s speech class decided to practice their articulation skills. They decided the best way to practice and show what they learned was by creating a book of tongue twisters. We hope you enjoy the book. What happens when you get angry? Do you know what to do? Read this book written and illustrated by Alliance High School Interactive Media students to find out more. What's the difference is a fun little book written by high school interactive media students in which the reader learns the differences between two things. What happens when teachers who participate in #iosedchat try to write, compile and publish an iBook in 1 hour using the Book Creator app?This iBook attempts to find out. 17 teachers, 1 hour, 1 iBook. Students in Ms. Hennon's class at The Alliance Early Learning School learned about spiders. To demonstrate their learning they wrote this eBook. We hope you enjoy it. Students in Ms. Hennon’s class at The Alliance Early Learning School learned about pumpkins. To demonstrate their learning they wrote this eBook. We hope you enjoy! Students in Ms. Hennon’s kindergarten class learned about feelings from a book they read in class. To demonstrate their learning, they wrote this eBook. We hope you enjoy it. What happens when animals go to space? Find out by reading this book created by high school interactive media students. Read this book to see numbers in action. This book was written and illustrated by Alliance High School students in the interactive media class. Students in Mrs. Gasparik's kindergarten class learned about sea creatures. To demonstrate their learning they wrote this book. We hope you enjoy reading it. Students in Alliance High School's interactive media class wrote this book about Fleet. We hope you enjoy the lesson he learns. In today's world with social media and global access to information, it only makes sense that children view the world as a place to share information and their work. This book is one attempt, of many to come, to compile work from children around the world. I truly believe children will make and produce better writing when they can say, "The World Is My Audience." We hope you enjoy reading this book. The children certainly had a blast making it. Bullying is something that is prevalent throughout our schools and needs to be addressed. The students of Alliance Middle School have created this book to show how one student suffers from being bullied, decides when it's time to ask for help, where to go to get help, and how the bullying eventually stops. We asked questions throughout the book for you to think about and use for discussion. Try to answer the questions before you watch how our authors respond. A "special message" from Skillet is included. It is our hope that anyone who is suffering from bullying "never surrenders!" Students in Ms. Hennon's class were learning about triangles. The students took pictures of triangles throughout the building and wrote sentences as well. We hope you enjoy the book. Click HERE for the PDF version if you don't have an iOS device or Mac. Students in Ms. Hennon's class were learning about rectangles. The students took pictures of rectangles throughout the building and wrote sentences as well. We hope you enjoy the book. Click HERE for the PDF version if you don't have an iOS device or Mac. Students in Ms. Hennon's class were learning about hexagons. The students took pictures of hexagons throughout the building and wrote sentences as well. We hope you enjoy the book. Click HERE for the PDF version if you don't have an iOS device or Mac. Students in Miss Hennon’s kindergarten class learned about fire safety. 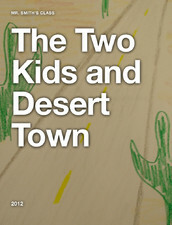 To demonstrate their learning they created this eBook that uses two of their favorite apps. We hope you enjoy the book and more importantly, we hope you stay safe. This book was created by Mrs. Gasparik's kindergarten class in the computer lab with Mrs. Sampson at Alliance Early Learning School in Alliance, Ohio. First, they used a drawing program on the computers in the lab to draw turkeys for Thanksgiving. Next, they took pictures of their turkeys. Then, they were able to import these pictures into an app. Lastly, each student wrote one sentence about their turkey using capital letters and periods in the app. They hope you enjoy their book! Happy Reading! Click on the image to download in iTunes on your iPad or Mac. Click HERE to view the video of the book on YouTube. Click HERE to read the PDF version of the book. Students in Ms. Hennon's kindergarten class learned about healthy foods and eating. To demonstrate what they learned, they wrote the book. We hope you enjoy it. This book can be downloaded on any iOS device or Mac product. A few weeks back a teacher on Twitter, Ashley Gravelle, posted a comment about looking for ideas for a collaborative poetry project. I immediately wanted to make a poetry eBook with her students. Before we knew it, Michael Donnelly joined the party. I wanted to get someone from Alliance to participate so enter Kate Harris. This is our collaborative poetry project! 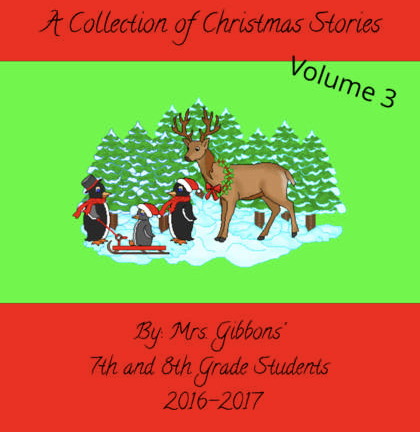 Students from grades 2 and 3 participated to create this eBook. I am happy to be compiling their hard work into one eBook. States may separate us but poetry brings us together. We hope you enjoy this book. Students in Ms. Hennon's class were learning about squares. The students took pictures of squares throughout the building and wrote sentences as well. We hope you enjoy the book. Click HERE for the PDF version if you don't have an iOS device or Mac. Students in Ms. Hennon's class were learning about circles. The students took pictures of circles throughout the building and wrote sentences as well. We hope you enjoy the book. Click HERE for the PDF version if you don't have an iOS device or Mac. Click on the image to buy in iTunes. Students in Ms. Hennon's kindergarten class learned about bats. To demonstrate their learning, they wrote this book. We hope you enjoy it. If you don't own an iPad or a Mac, you can view our book in PDF format by clicking HERE or by watching a video of it by clicking HERE. Students in a 6th grade speech class at Alliance Middle School decided to tackle the major issues of bullying. In this book, the girls discuss how to survive bullying. Students in Ms. Hennon's kindergarten class learned about spiders. To demonstrate their learning, they wrote this book. We hope you enjoy it. Students in Ms. Hennon's kindergarten class learned about owls. To demonstrate their learning, they wrote this book. We hope you enjoy it. Mrs. Power's Kindergarten Class at Alliance Early Learning School, completed a project based learning activity where students discovered Italian, language, food, symbols and monuments and culture. We love elephants in Mrs. Reich's room! We have learned about how elephants move their body, what they eat, and how they play. Enjoy our book! Students in Mr. Morgan's kindergarten class at Alliance Early Learning School learned about fish. To demonstrate their learning the students wrote this eBook all about fish. We hope you enjoy it. Students in Mrs. Gasparik's Kdg class at AELS learned about sea creatures. To demonstrate their learning they wrote and published this iBook. We hope you enjoy. Students in Mrs. Bowser's class at Alliance Early Learning School learned about the beach. To demonstrate what they learned, the students wrote this eBook. We hope you enjoy reading it. Students in Ms. Zemrock's kindergarten class at Alliance Early Learning School learned about sharks. This eBook is a compilation of their pictures and facts they learned about sharks. We hope you enjoy this eBook. Students in Miss Elliott's kindergarten class at Alliance Early Learning School learned about mammals. To demonstrate their learning students researched interesting facts about mammals and wrote this eBook. We hope you enjoy the eBook. Alliance Early Learning School students in Mrs. Winner and Mrs. Hackney's classroom spent some time researching about birds. Students asked and answered questions about different bird species of their choice. Our students have typed up their interesting findings and created an eBook for you to enjoy! Students in Mrs. Harper's kindergarten class learned about reptiles. To demonstrate their learning, students wrote this eBook. We hope you enjoy reading it. Students in Ms. Kuceyeski's kindergarten enrichment class learned about China. 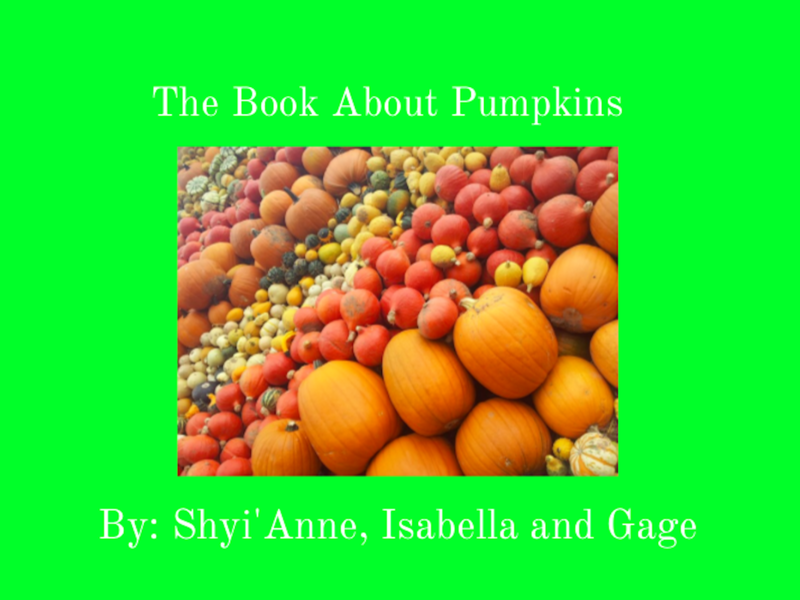 To demonstrate what they learned, students wrote and published this eBook using the Book Creator app. We hope you enjoy reading our eBook. Students in Ms. Hennon's kindergarten class at the Alliance Early Learning School were learning about animals on farms. To demonstrate their learning, students researched animals on the farm and compiled their learning in this book. We hope you enjoy reading the book as much as we did writing it. This is the third iBook created by Ms. Hennon's class. Great job students. We are proud of you. Students in Ms. Hennon's class at the Alliance Early Learning School learned about insects recently. To show what they learned the students created this iBook. Click on the picture to download the book in iTunes. A group of students at the Alliance Early Learning School furthered their understanding of the four seasons by creating an eBook called, "About the Four Seasons." The kindergarten students researched, typed, and drew a picture about each of the four seasons! We hope you enjoy this eBook. Our newest iBook was written by kindergarten students in Ms. Hennon's class at the Alliance Early Learning School. The students demonstrated their knowledge of numbers by finding them around the school. We hope you enjoy this iBook. Students in Mrs. Bender's 1st grade class learned about bats. In this iBook, students demonstrate their knowledge through writing and interviews. We hope you enjoy this book. They are planning to do many more this year. Did You Hear the One About....? is a joke book created by Alliance Middle School students to showcase their targeted speech therapy goals in a humorous manner. Students are able to "see how they sound" (developing self-monitoring skills) while having fun practicing their speech and producing a product for the world to enjoy. We hope you enjoy the book as much as we do. Social Skills Volume 1 is our first attempt at writing an iBook using software other than iBooks Author. We decided to use the Book Creator app. This app is extremely easy to use and a lot of fun. There were three 4th grade autistic kids who wrote this eBook. The teacher and boys decided they needed to work on social skills. Their lessons learned are presented in this eBook. Enjoy! This iBook is available for iPhone, iPod and iPad. Social Skills Volume 2 is our second attempt at using the Book Creator app. Again, this iBook was written by 4th grade autistic students. Enjoy the lessons taught in this iBook. This iBook is available or all iOS devices. Students in Mrs. Pirogowicz's speech class write and publish another iBook. This is the 3rd iBook these students from Rockhill have created. Their newest book is called Social Skills Volume 3: Manners On The Bus. Congratulations to these students and Mrs. Pirogowicz for their amazing work and wonderful book. Click the link below to download this FREE iBook on all iOS devices (iPad, Mac, iPod Touch and iPhone). Each year students in Mr. Schillig’s class rewrite the Canterbury Tales into a modern version. In this fourth edition students created a scenario inside Walmart on Black Friday. A snowstorm leaves customers stranded in the store, and they decide to tell stories to pass the time. Everyone dreams! Some of our dreams are scary. Some of our dreams are happy. Some of our dreams are thoughts and wishes of what we want to become or what we want the world to be. This eBook, The World Is My Audience 2: Dreams Around The World, is just that. It’s a book of dreams. 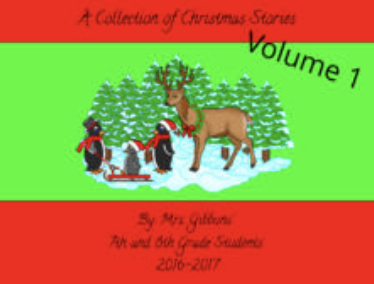 This book is a compilation letters written by students in three elementary schools in the Marlington Local School District. The letters are designed to make older students realize, younger students look up to them and want them to make good choices. 4th grade students in Mrs. Thomas’ class at Northside Intermediate School learned about safety. To demonstrate their learning, they created this eBook. We hope you enjoy reading it. After studying citizenship rights and responsibilities a group of 4th graders wrote this book to demonstrate what they learned about traffic safety. We hope you enjoy the book. Honor students in Mr. Shively’s American and Modern World History I class researched and wrote about famous leaders of the Enlightenment. We hope you enjoy this book. In the Graphic Novels class at Alliance High School, students read contemporary novels created in graphic form (don’t call them comics! ), and they also create their own graphic narratives. 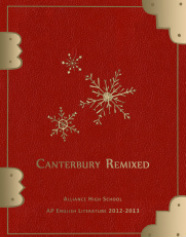 Each year, students in the Advanced Placement English Literature and Composition class at Alliance High School channel their inner Chaucers and write a modern version of his Canterbury Tales. This year, the class voted on a unique scenario: Our characters are gathered around a car in a showroom, with their hands on the vehicle. The last one standing wins the car. To entertain themselves while they wait, all agree to swap stories. Just like Chaucer’s original, our volume has no conclusion. Who wins the automobile? Is it the narcoleptic Brony? The sad clown? The waitress? Don’t ask us. We hope you enjoy our humble efforts. If we inspire even one person to seek out Chaucer’s verse, our work will not have been in vain. Graphic Novel Alliance is a semester long project which grew out of a course entitled Graphic Novels. This course is taught at Alliance High School. Students in this course learned about the art of graphic storytelling by creating their very own publication. 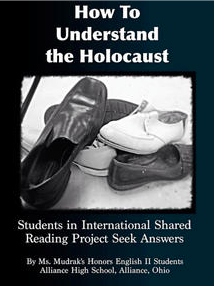 The International Shared Reading Project, a program of the Youngstown Area Jewish Federation, is an exercise in international cooperative learning about the Shoah (Holocaust) and its meaning for youth today. As participants in the program, students in Ms. Barbara Mudrak’s three sophomore Honors English classes were partnered with students in three different schools in Israel: Amakim Tavor Regional School in Kibbutz Mizra and Makif Gimmel and Makif Tet high schools, both in Rishon Lezion. Students on both sides of the world read the book “Night” by Elie Wiesel, then discussed it with their partners. The project lasted from October 2013 through February 2014. Their discussions took place on a secure website hosted by the Janusz Korczak International School. The iBook is available for download on iPads. Click on the link below to read their iBook. Congratulations on a job well done. Students in Alliance, Ohio, and Ashdod, Israel, share their thoughts on the book Night by Elie Wiesel, reaching across distance and culture to learn about the Holocaust as part of the International Book Sharing Project of the American Friends of the Ghetto Fighters’ House Museum. 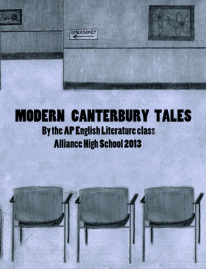 Students in the Advanced Placement English Literature and Composition class at Alliance High School faced a daunting assignment earlier this year: to write a modern version of Geoffrey Chaucer’s much-loved Canterbury Tales. We decided as a group that our stories would be told by characters in the waiting room of a hospital. Students worked in groups to create characters for the prologue, and then worked individually to write stories (in verse) that those characters might tell. The results can be found on the following pages. We sincerely hope you enjoy our efforts, and we hope that you might be inspired to read or re-read the original Canterbury Tales as a result. Movies are the popular literature of the 21st century. We devour them with a fervor once reserved for novels and short stories, following our favorite actors and directors the way earlier generations followed favorite writers. To create this book, each student in my Advanced Placement English Language and Composition class selected one film from the National Film Registry, which chooses up to 25 “culturally, historically or aesthetically significant films” each year for inclusion in the Library of Congress. Each student then wrote a review, discussing what worked and didn’t work; choices made by screenwriters, directors, and cinematographers; and personal reactions to particular scenes or the film as a whole. The goal was to create readable reviews that treated film with the same level of respect afforded to other works of art. Fractured Fairy Tales was written by 5th graders at Parkway Elementary School in Alliance, Ohio. After reading fairy tales they decided to write their own. Enjoy the stories. If a picture is worth a thousand words, then how much are a thousand words worth? Mr. Schillig's freshman classes decided to find out by writing book reviews and filming brief book talks. While most students stayed will under one thousand words, they did gain experience in reviewing and analyzing popular fiction. We learned along the way. For example, it wasn't until after filming was finished that we discovered how one mouse click reverses images in Photo Booth so that our books wouldn't appear backwards. Next time. We hope you enjoy the reviews. More importantly, we hope you find new books and authors to explore. After reading Chaucer’s prologue to The Canterbury Tales and two of the stories themselves, The Pardoner’s Tale and The Wife of Bath’s Tale, students in my Advanced Placement English class tried their hands at modernizing the work. Click HERE to read this eBook in your web browser. 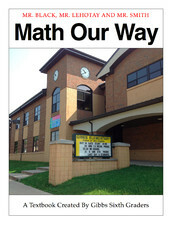 This is the first eBook created and published by the freshman class at Alliance High School. Please download our eBook by clicking on the picture. The book is available for iPad. If you would like to read our eBook in your web browser, click HERE. Our newest eBook is actually a textbook demonstrating what kids learned this year in math. It has only been in the iBookstore since June 9th. It has been downloaded 5000+ times. It has also been downloaded in 47 different countries. We hope that all readers enjoy this book and learn a lot about math. This book and the others we created truly demonstrate the power of global thinking in education. Our second eBook has only been out for a short time. It has already been downloaded over 265 times in 47 different countries. 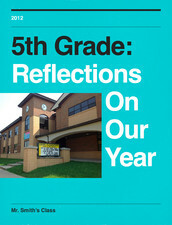 This book was designed to show the students' reflections on their year. It is not a story book, rather reactions to each student's year. This was our first eBook created using Apple's iBooks Author program. We have had this eBook downloaded over 3743 times in 47Cl different countries. This was my test iBook. I created this myself as a funny poetry book. It costs $0.99 in the Apple iBookstore. As soon as I made this book I realized that charging for money would not work really well for a school setting. That's why all our student iBooks are free. This book has not made me a millionaire by any means. If you are looking for a silly book of poetry, this is your book. Mr. Shively's class wrote this book about child labor based on the pictures. This book is only available on ePubBud.com. Click on the picture to read the book.